Ah, December is upon us, YA readers. While we warm by the fire with a cup of eggnog, we’ll need a good hardback or ebook in hand. Maybe you plan on gifting your bookish relative something special for the holiday. If so, you should keep these titles on your shopping radar. Goodreads ratings, blogger reviews, hype and high anticipation have all been considered in the choosing of the Best 6 YA Books with a December 2013 release date. “Control” by Lydia Kang (Series: Control #1) When a crash kills their father and leaves them orphaned, Zel knows she needs to protect her sister, Dyl. But before Zel has a plan, Dyl is taken by strangers using bizarre sensory weapons, and Zel finds herself in a safe house for teens who aren’t like any she’s ever seen before—teens who shouldn’t even exist. Releases December 26th 2013 by Dial Books for Young Readers. My Take: “Control” will be Kang’s YA debut, and with an original premise like this: “A spiraling, intense, romantic story set in 2150—in a world of automatic cars, nightclubs with auditory ecstasy drugs, and guys with four arms—this is about the human genetic ‘mistakes’ that society wants to forget, and the way that outcasts can turn out to be heroes.” — I’ve already pre-ordered. “These Broken Stars” by Amie Kaufman & Meagan Spooner (Starbound #1) It’s a night like any other on board the Icarus. Then, catastrophe strikes: the massive luxury spaceliner is yanked out of hyperspace and plummets into the nearest planet. Lilac LaRoux and Tarver Merendsen survive. And they seem to be alone. Releases December 10th 2013 by Disney Hyperion. My Take: I reviewed (and thoroughly enjoyed!) Kaufman and Spooner’s vivid novel that follows Tarver and Lilac on a strange planet, both teens trying to survive. For lovers of space and beautiful prose, you’ll want to read this one. Out of the six books on the list, this by far has the most hype — and it met my high expectations. Reviews have been glowing. And have you seen that cover? Gorgeous. “Warrior” by Ellen Oh (Series: The Dragon King Chronicles #2) First an outcast, now a hero. But her fight rages on in the sequel to Ellen Oh’s “Prophecy.” As to not spoil potential readers for the first book, here’s the full summary. Releases December 31st 2013 by HarperTeen. My Take: Not too many reviews for “Warrior” yet, but Ellen Oh’s “Prophecy” had good buzz and enough talk that the sequel will appeal to established fans and newcomers. I look forward to starting her series soon! “Rebel Spring” by Morgan Rhodes (Series: Falling Kingdoms #2) Love, power, and magic collide with war in the second book of the Falling Kingdoms series. Releases December 3rd 2013 by Razorbill. My Take: This series has been dubbed a “YA version of Game of Thrones” by more than one blogger. With politics, kingdoms, and love, Falling Kingdoms series is a must for any young adult fantasy fans. 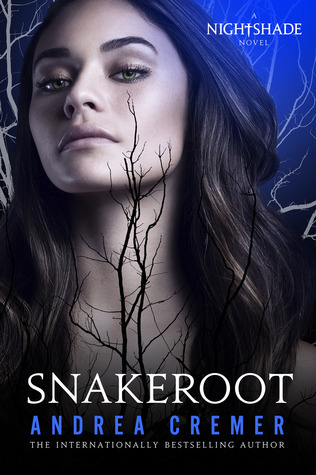 “Snakeroot” by Andrea Cremer (Series: Nightshade Legacy #1) Andrea Cremer is continuing the story she began in in her internationally bestselling trilogy: Nightshade, Wolfsbane and Bloodrose. Releases December 10th 2013 by Philomel. My Take: Andrea Cremer should be a familiar name if you’re a reader who loves a good werewolf story. She’s written the popular Nightshade trilogy, and now she’ll be continuing with a new spin-off called “Snakeroot.” Since paranormal has been a slowly dying down, I love seeing a new release in this genre. Plus, the cover model looks a lot like our Phoebe Tonkin from “The Originals” — does she not? “Deadly” by Sara Shepard (Series: Pretty Little Liars #14) Deadly, the fourteenth volume in Sara Shepard’s YA Pretty Little Liars series is said to deliver “more juicy scandals, dark secrets, and shocking plot twists.” Full summary here. Releases December 3rd 2013 by HarperTeen. My Take: Do I need to pitch this one to you? There’s a gaggle of girls somewhere screaming at the television for this series (ahem, ABC Family, yep), and they’re probably coveting the paperbacks just as quickly. The author created the characters, after all. Have you read any of these yet? Which December releases are you looking forward to? Sound off below!